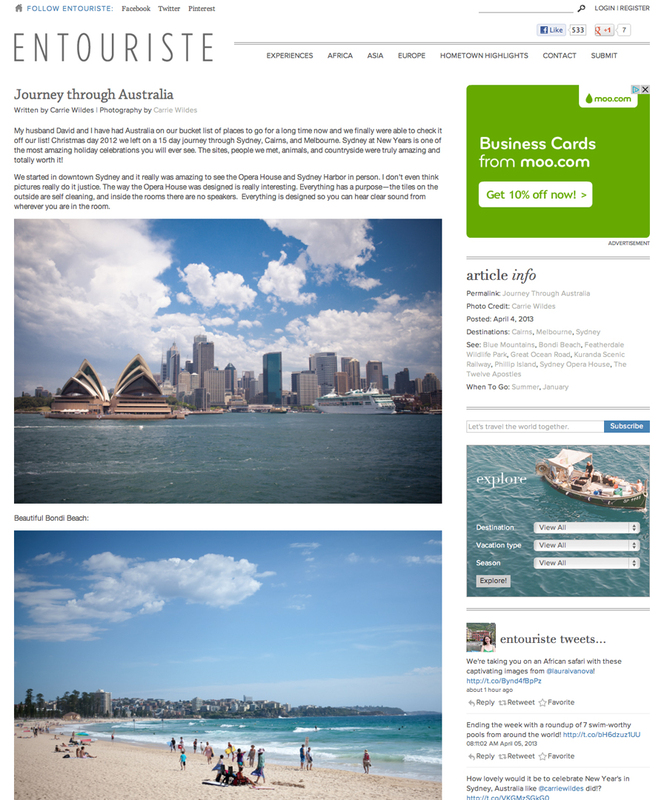 I met Ami, from Entouriste Travel blog on twitter and she featured our Australia adventures! Entouriste is a community-based travel blog founded on a shared passion for travel and discovering the world one corner at a time. There are some pretty amazing trips on there, I love seeing the images and experiences people had. We're use to being on wedding blogs but why not mix it up!